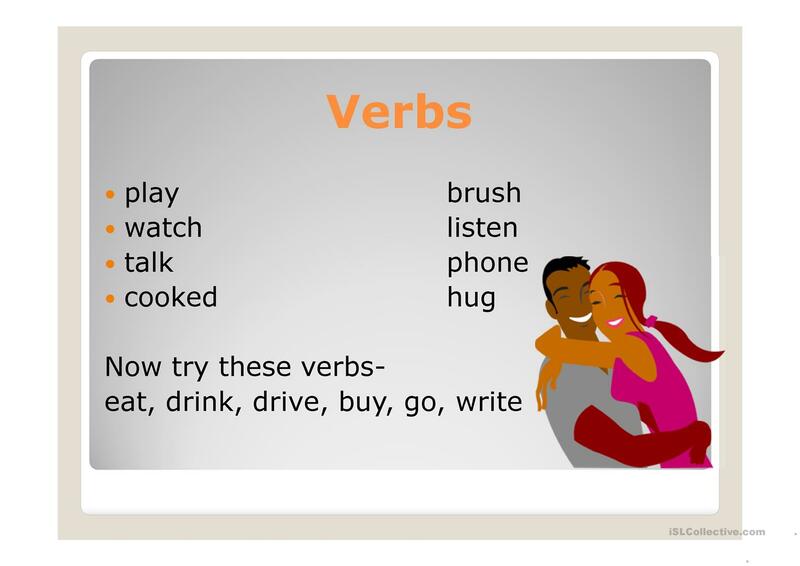 This PowerPoint is for students who are familiar with the present continuous and past simple verbs. 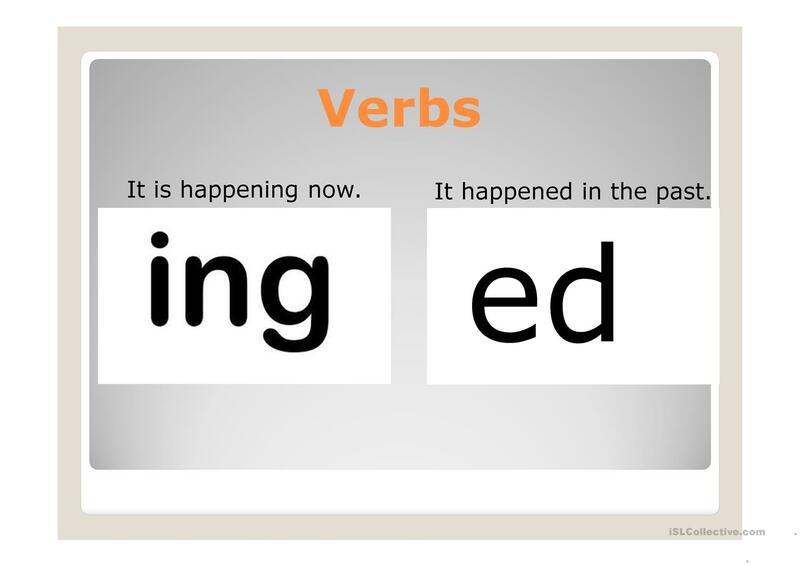 This is a recap and requires SS to write a sentence for each verbs in the present continuous and past simple. 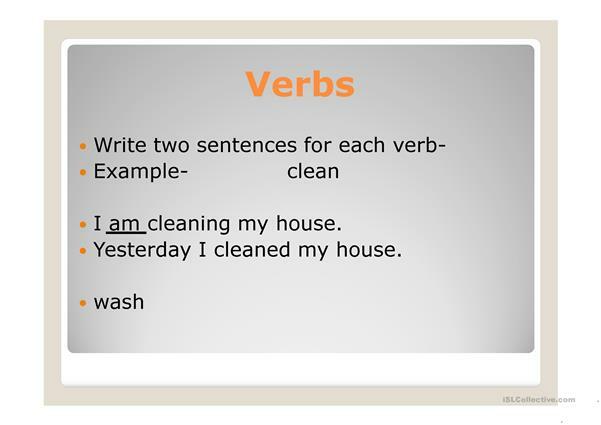 The extension activity involves irregular verbs. 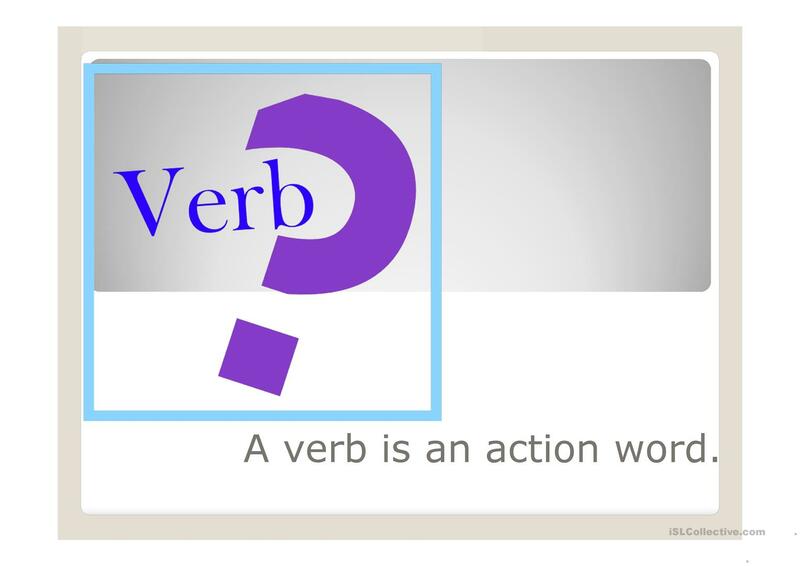 This downloadable worksheet is best suited for adults at Beginner (pre-A1) level. It is aimed at consolidating Verb tenses in English, and is a valuable material for developing your class' Spelling, Reading and Writing skills.